Watch Jamie Jones and Seth Troxler B2B at CRSSD Festival! 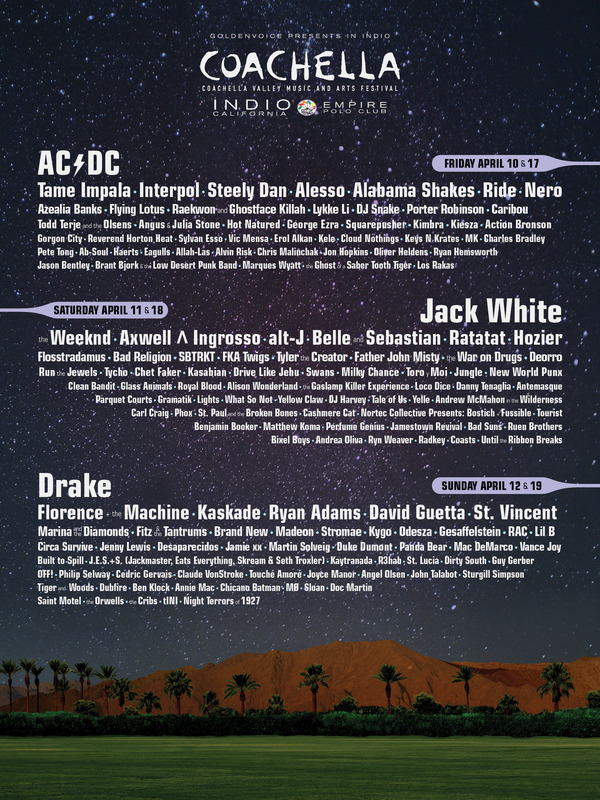 Goldenvoice announced the lineup for the annual Coachella Music Festival, which will take place in Southern California this April. Every year it’s a huge debate whether to go back or not, however, this year the decision was much easier to make. We just don’t see it this time around. The lineup (pictured above) certainly includes some must see material. 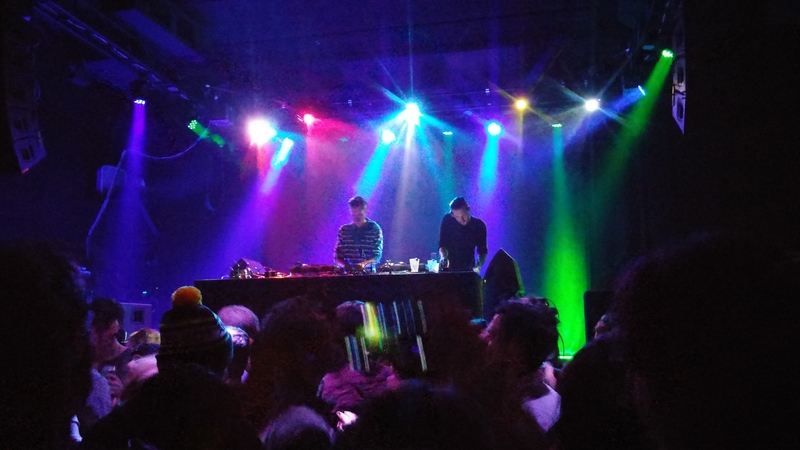 The newly formed Todd Terje live band and the super-duper techno group J.E.S. 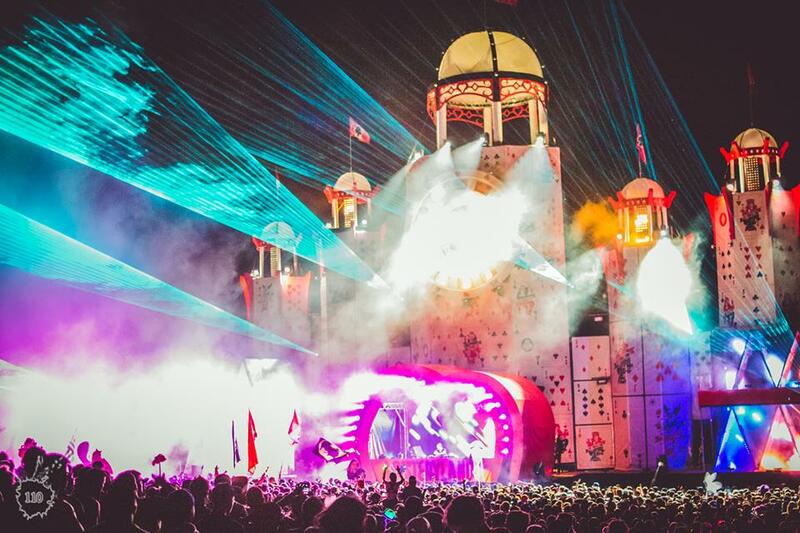 + S (featuring Jackmaster, Eats Everything, Skream, and Seth Troxler) would be enough to get our pants off, but not for the $1500+ we’d have to spend to see them. Money should never interfere with music, that’s not what we’re saying. It’s really not that glamorous is all. Diversity is rarely an issue for this festival, and in the case of this lineup it still isn’t. There’s just no “bang!” to the lineup, and from the feedback we’ve seen across the music community, we’re not alone in that sentiment. Apparently people still don’t care about AC/DC. It just seems like the organizers took the top 50 acts from every hipster music forum and made a bill out the averages, and then threw the world’s most generic rock band on top. Perhaps they should stop relying on Pitchfork for input and connect with the fans again, something that Coachella was once very respected for. What do you guys think about it? If you haven’t heard yet, read it and weep. 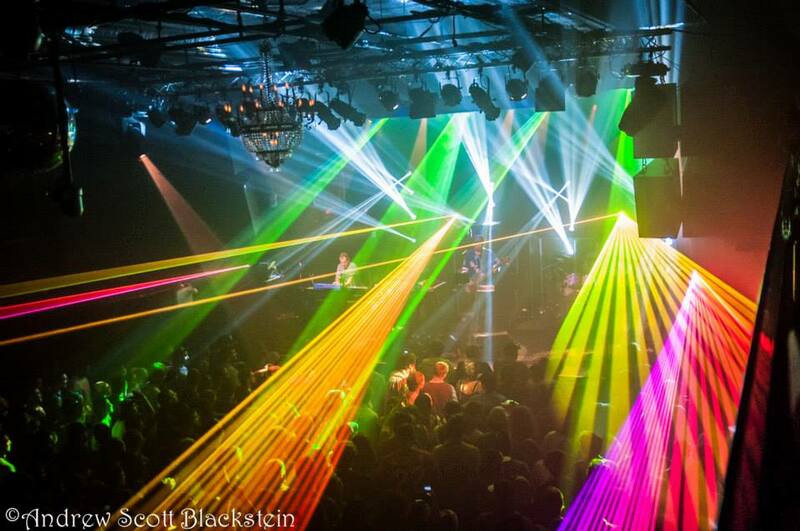 The Disco Biscuits have officially sold out the second night of their two day run in Washington DC next month. On July 31st the band will play the 9:30 Club for two back-2-back shows leading up to their headlining performance at Gathering of the Vibes. This also marks the first time they’ve played the venue in two years. According to the fans themselves, this club witnessed some of the most highly regarded performances in the group’s history. From what we’ve heard in the recordings, their shows in New York City last weekend were top notch as well. This band doesn’t tour by themselves like they used to, and it’s not often you get an opportunity to see them outside a festival for an old-fashioned run. After these two shows, they’ll take the stage with Mickey Hart and Bill Kreutzmann of the The Greatful Dead for a collaborative performance. If you have a burning desire to see this band again, you know you don’t want to sleep on those last tickets! Some Bonus Advice: Seth Troxler will be playing after the show at the U-Street Music Hall on July 31st! Plan your epic night accordingly friends.